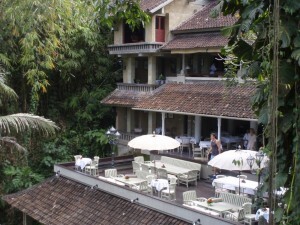 Decades ago I visited Ubud in Bali and was captivated by its beauty. My friend Julie made a more recent visit and fell in love with the area and the people, to the extent that she moved there permanently putting down some real roots. Julie is the co-author of A Taste of Bali and if you want to read more about her life in Ubud see Julie in Bali where she covers everything from the perils of house building to earthquakes and the not so gentle pitter-patter of monkeys on the roof. Ubud has grown and evolved a fair bit since my visit. One of the changes is a relatively new Restaurant I had heard good things about, so I asked Julie if she knew it. 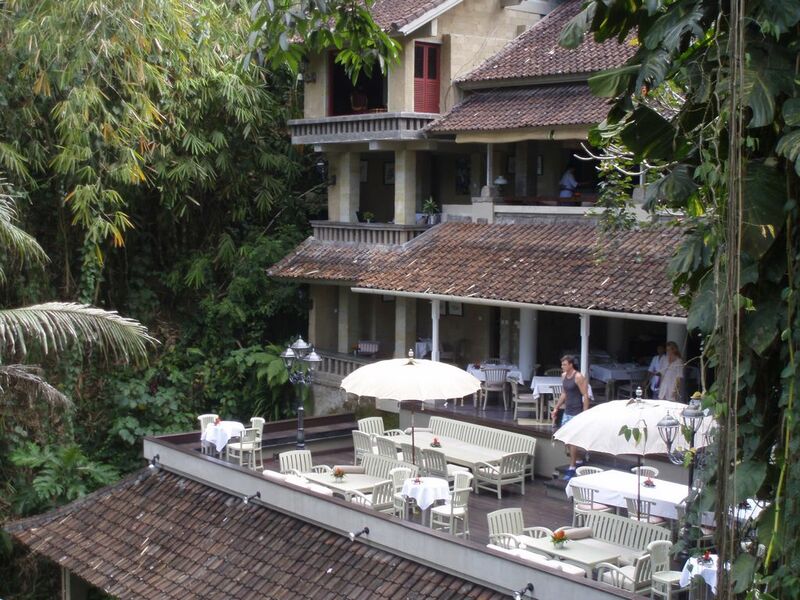 The restaurant is called Bridges, it opened less than a year ago and was recently voted the number one restaurant in Ubud by Trip Advisor. It’s a casual fine dining restaurant with Western and Asian influences, their new menu for example includes Three Spiced Carmelised Duck – Sliced crispy duck coated in a thin star anise, orange and cinnamon caramel and the Crispy Skinned Pan-fried local Barramundi on a golden caper-dill rosti. Served with sautéed zucchini ribbons and a lime-saffron cream sauce. Recently Julie helped organise a literary event there that included a delicious 4 course meal, the highlight of which was a rather lovely dessert of chocolate mousse duo (orange and espresso). Not sure when I will get the opportunity to visit Ubud again, but when I do I think Bridges will be on my list of local attractions.